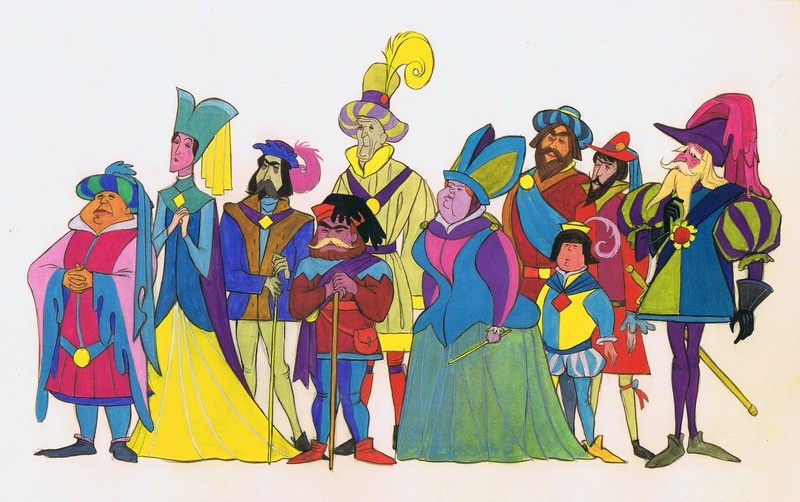 Years ago when I asked Marc Davis wether he animated those few scenes of the Queen in Sleeping Beauty, I didn't recall. But this drawing of the character holding newborn Aurora as she looks up to her husband King Stefan proves that Marc indeed was responsible for her scenes. 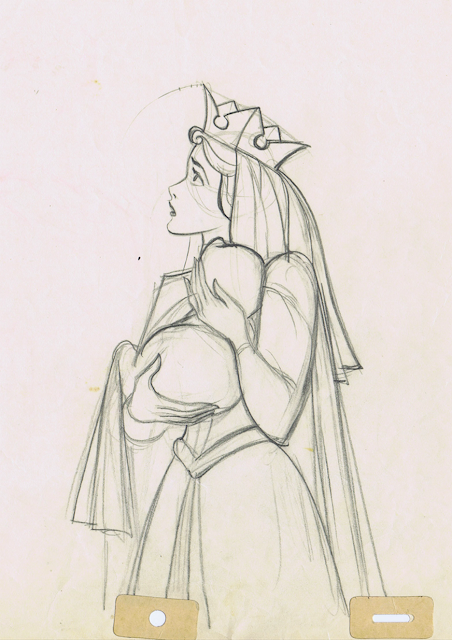 Perfect profile, and large, elegant hands are part of his trademark as a draughtsman. 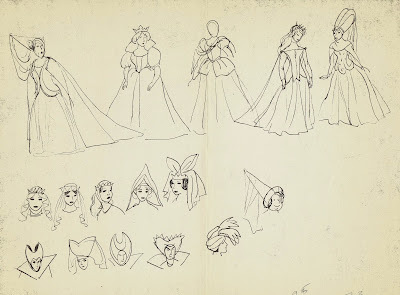 Marc skipped the preceding feature Lady and the Tramp in order to focus on the two main characters in Sleeping Beauty, Princess Aurora and Maleficent. But since he was such an outstanding designer, Marc also researched medieval costumes for the lead as well as minor characters. 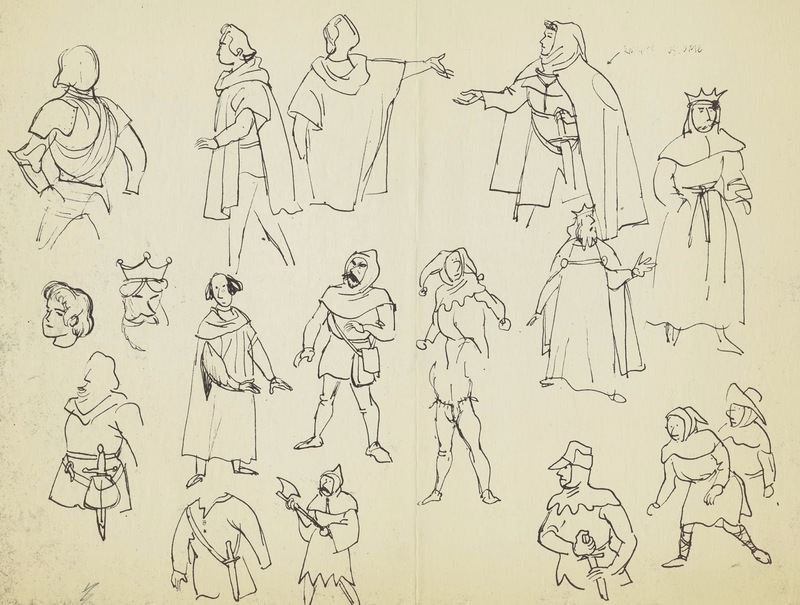 I love his approach in these doodle sheets. 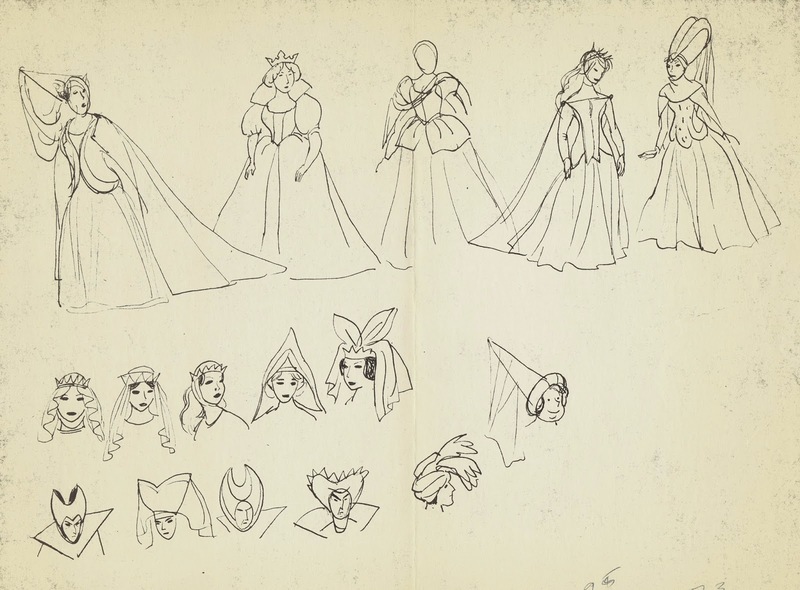 He is not concerned with the film's final artistic style, instead he looks for period outfits that are not too complicated to be animated.